Life comes with many challenges but nothing is impossible with God. Ask Mataafa Fa’atino Masunu Utumapu and she will tell you all about it. 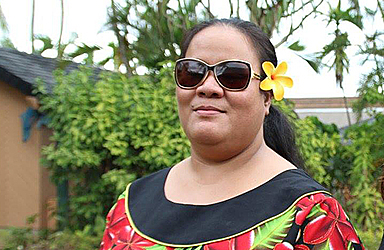 The Office Manager for Nuanua O Le Alofa is a person who is blind but you will not notice it by the things she has done. As an advocate for the rights of people with disabilities, Mataafa is an example that if you have the willpower and the desire, you can do anything – including managing one of the most challenging work places in Samoa. The daughter of Reverend Taito Masunu and Senerita Utumapu of Tuana’i and Safotu Savai’i, grew up with lots of dreams. Achieving those dreams, however, for the 35-year-old was met with a lot of obstacles. Those included discrimination and being ridiculed because of her condition. Still, she wouldn’t give up and today she is a woman who is a shining example of what one can become when you have the willpower and commitment to a goal. She admits that work is tough, especially when she started at the tender age of 22. But she used the opportunity given by NOLA to make a difference. When she was in school she noticed that there was nothing available in school to cater for persons with disabilities. And most of her studies and exams were done orally because there were no equipments like what they have now. “We only have Fiamalamalama and Loto Taumafai but those two schools were under resourced,” she said. Mataafa said she took advantage of all the trainings available on the job for her to improve her knowledge. 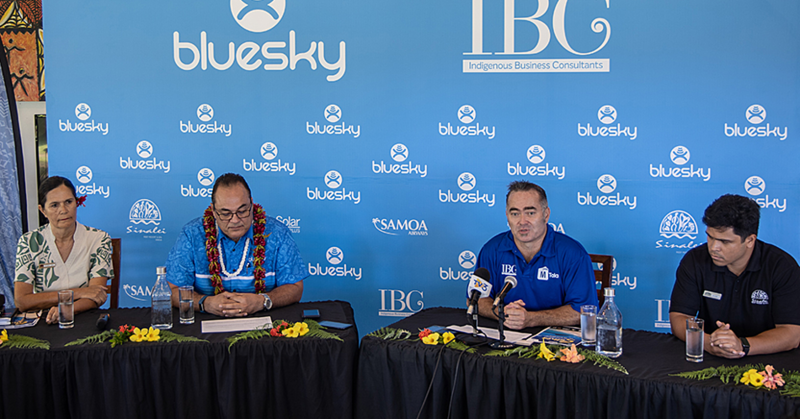 She also made good use of the opportunity offered to her both at the regional and the international level through the Pacific Disability Forum and other international organizations recognizing persons with disability. Mataafa utilized the knowledge she got from those trainings to strengthen her position as the office manager for NOLA. 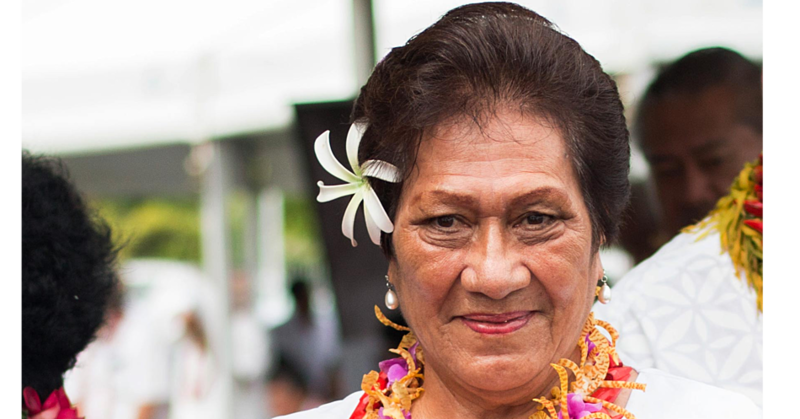 For someone who wanted to be treated the same as everyone else, Mataafa looked back to where she begins. She felt that during her years of education in Samoa, her potential was not fully recognized as some teachers would add marks to her result sheet a per her attendance and not according to her capacity as a student in school. During her time spent in School and the lack of facilities available for her, she said she will take it as a whole new career for her to work with the NGO. There was lack of resources available for students with disability, there was no braille, screen reading software and necessary learning technologies, all her learnings were orally oriented, including exams in which some teachers gave her oral exams and she passed with good marks. Mataafa dedicates most of her time to her job, she said NOLA was her first job and she is enjoying her time spent with the organization. Especially at this work there are many challenges but I tell you there are many challenges. Mataafa graduated from Wesley College and received a scholarship to Manurewa High School in New Zealand. Upon her return to Samoa in 2003 she was blessed to be given the job as a Coordinator for people with disability for NOLA before she became the Office Manager in 2011 to present. After years of employment she became the Co-Chair for the Pacific Committee of youth with disabilities, a member of the Pacific Disability Forum’s resource team on the UNConvention on the Rights of persons with disability (CRPD). She is a current executive member of the Samoa umbrella for non-government organizations (SUNGO), a member of the Samoa’s disability task force committee, disaster management advisory body, a leader of her church Methodist Church Vaitele Uta and a Sunday school teacher. 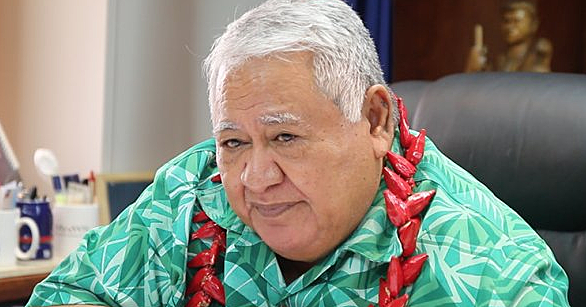 Mataafa’s vision is the recognition of people with disability in our country. NOLA have about 600 members registered those who often attended their activities not to mention those who still can’t make and those who are not registered yet. Mataafa acknowledged her parents for their undying support for many years of her life, as well as the staff of NOLA for being with her all these years. She also thanked the Australian Government as they are their close partners in providing them funding and also those who have contributed to the success of NOLA. Mataafa thanked her sisters for being with her throughout difficult times she is always there.